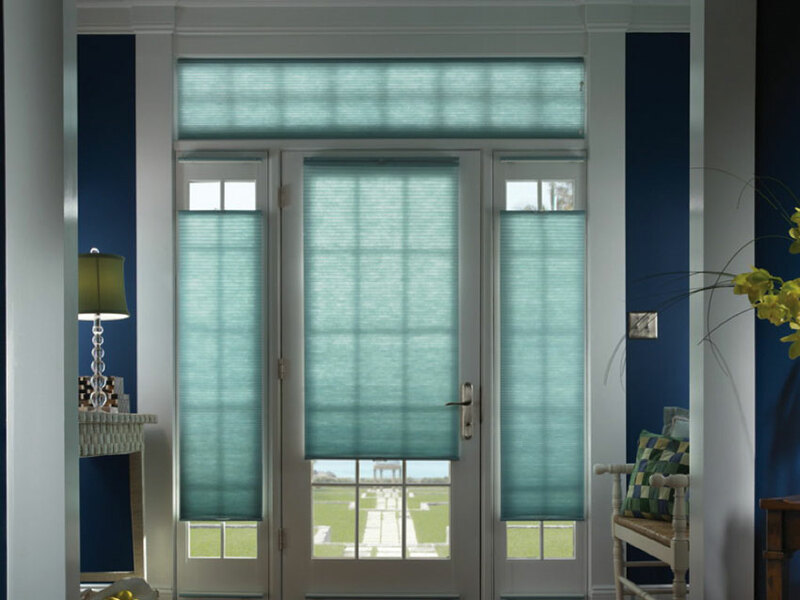 Sheer Shades have grown in popularity over the past 10 years. More specifically, they have become one of the “go to” window treatments when one wants to “dress up” their window in a stylish, elegant manner. However, in order to create this clean, fancy look, delicate fabrics are used. Sheer is one of the most lightweight, gentle fabrics and it is extremely important to take care of it the right way. 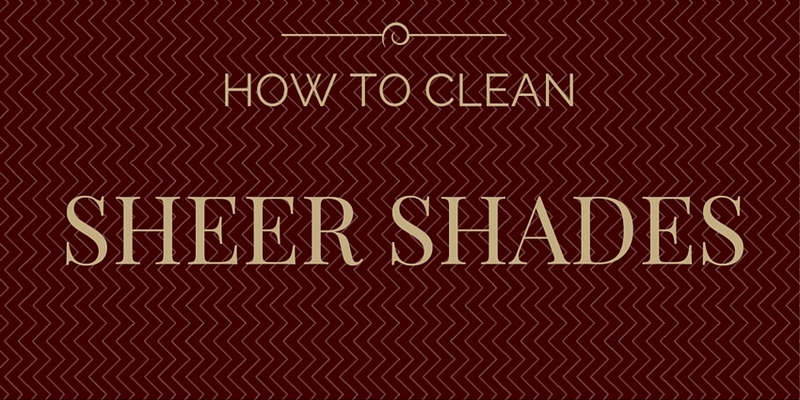 Here are some tips and tricks to help keep your Sheer Shades clean and perfect. Cleaning Tools The most important rule when cleaning your Sheer Shades is to use the lightest, and softest material to dust. Using a feather duster or Swiffer duster is the most ideal. In situations where these products are not available, there are other options. The next tool and method is a Shade Works Trick, so listen up! Another product to use to clean the shade is your vacuum, however, it must be used the right way. This means, first, setting your machine to a low power, and second, instead of using the standard brush attachment, use a sock or pantyhose to put over the vacuum tube. Any of these methods will the best to keep your Sheer Shades clean and elegant! Tips and Tricks for Stains Once again, the most important thing to consider when cleaning your Sheer Shades is how delicate Sheer material can be. When you first see a stain your first instinct will be to grab your “heavy duty” cleaner, do NOT do this. These chemicals will be damaging to not only your sheer material, but also to your fabric vanes! For spot cleaning, your best bet is mild soap with water and blot the stain with a soft rag, followed by air dry. Another secret trick that Shade Works is happy to offer is taking a piece of masking tape and dabbing the stain, trying to remove it entirely from the fabric. The most common question we receive regarding the cleaning of our Sheer Shades is related to our Sheer Horizontal Shade. Customers see the fabric vanes sewn between two pieces of sheer fabric and ask, “How do we clean in between the vanes?” The answer: using compressed air or a standard hair dryer! The only factor to remember, use COOL air. Warm or hot air may cause discolouration of the fabric or damage the fabric in general. There you have it! You are now a professional cleaner, ready to clean your Sheer Shades to perfection. Head over to our sample department to order your Free Sheer Samples today to feel the fabrics and practice your cleaning! Call us today at 1-888-870-2130 or email us directly at help@shadeworks.ca with any further questions or concerns. We are here to help! Have a great day! As the Fall and Winter seasons fast approach, we cannot help but be concerned about the frigid cold weather that lies ahead. Even though completely opposite of the hot summer weather, there is one factor that remains the same: our energy costs! In the summer we pay a lot of money to cool down our homes, and in the winter we pay even more to heat our homes! Shade Works is here to help. On average, about 15% to 35% of heat loss during the wintertime can be attributed to your windows. Thus making your window coverings more important than ever as we approach the cold weather season. 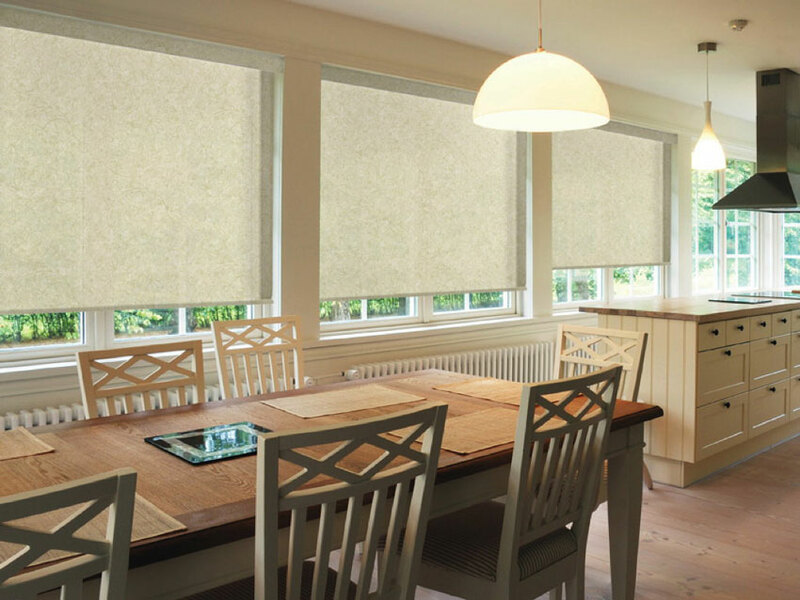 Every window treatment will prevent some heat loss and insulate to lower your heating costs, but there is one blind in particular that does it the best: Honeycomb Blinds! 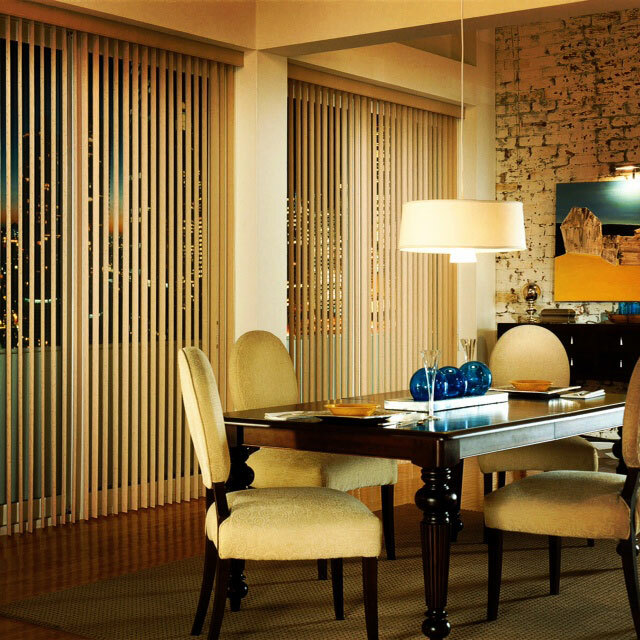 HONEYCOMB BLINDS The ultimate window treatment, these blinds have a distinctive combination of function and durability. 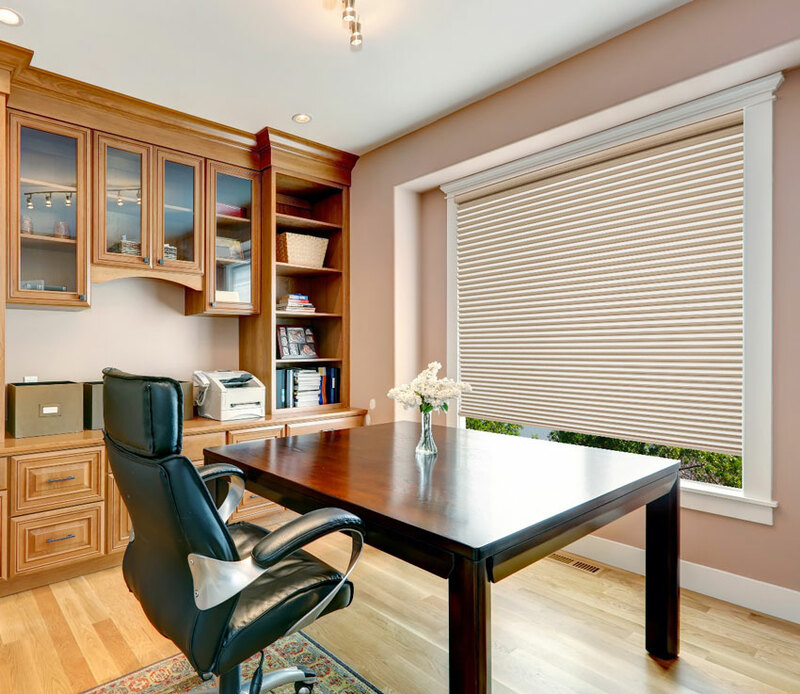 Available in light filtering or blackout options, honeycomb (also known as cellular) blinds have superior insulator properties, regardless of their light opacity. Having a unique web-like structure, they are able to trap warm air inside to keep your home warmer, even when it gets colder outside. This is additional insulation that other treatments do not offer and helps save you a lot of money by the end of the cold winter. COMBINING WINDOW TREATMENTS As the saying goes, two brains are better than one, this is also deemed correct for energy efficient window treatments. Having a honeycomb shade in the window, covered by some heavy curtains or drapes will provide the extra layer of insulation to trap even more warm air in your home. However, keep in mind that having the Honeycomb Shade in the window is most important as it traps the extra warm air trying to escape, acting as the last line of defense. 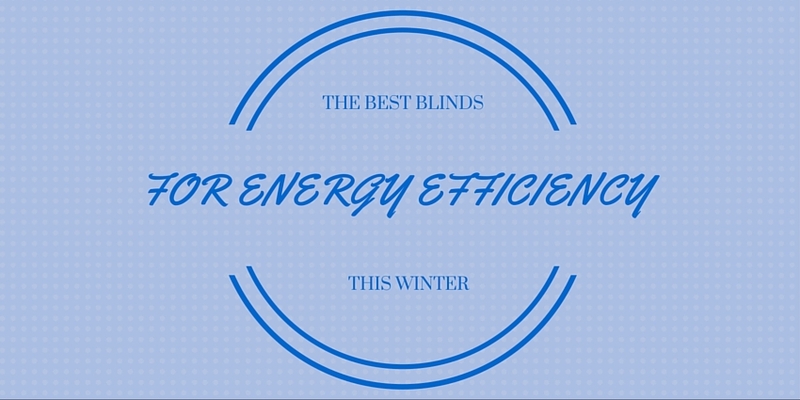 The Honeycomb Blind is without a doubt the best window treatment for energy efficiency this winter. Save yourself some money on heating costs, but also save yourself some time by shopping online today! Contact us (1.888.870.2130 or help@shadeworks.ca) for further questions or to get you started! Have a great day. 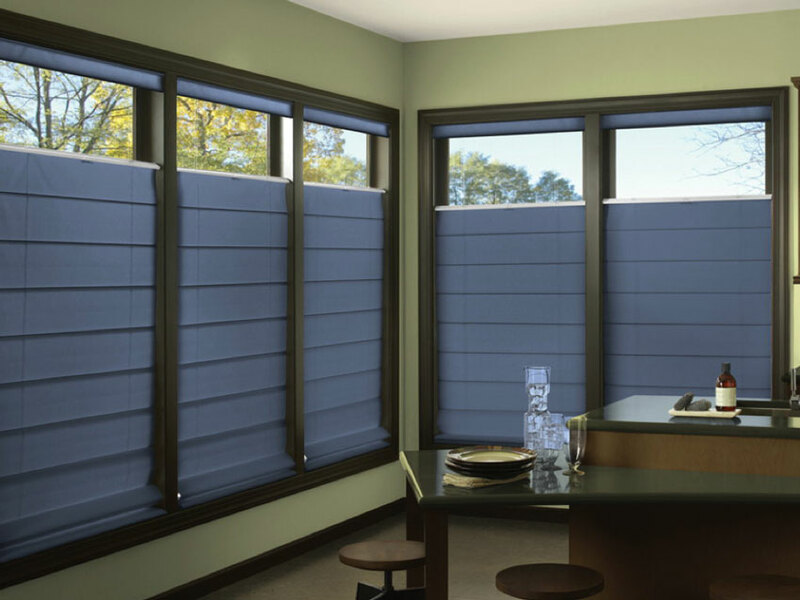 Here at Shade Works I don’t think we cannot express enough how important window treatments can be for both you, your family and your home. Often seen as a product that “blocks light”, it absolutely does so much more! Block harmful UV Rays, protect your furniture, reduce heating/cooling costs to name a few, window treatments are essential for the well-being of your home. Today we are going to look at another underlying, unintentional benefit of these window coverings, noise reduction! Whether you are working at home in your office, or trying to go to sleep at night, noise reduction can help you in all settings. That extra layer beyond the glass goes a long way to reduce noise levels and create the optimal work, sleep or relaxing environment. 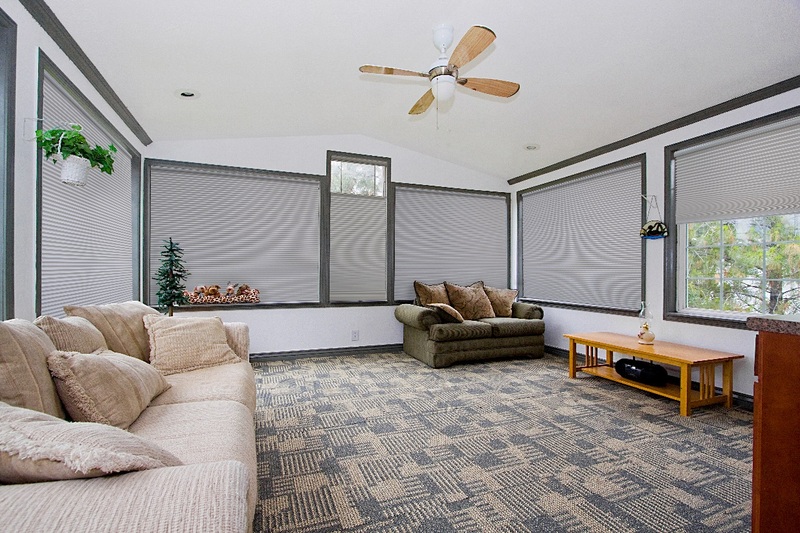 Here are some window treatment options to reduce noise levels. Roman Shades are great in reducing noise because of the density and thickness of their fabrics. The heaviness, whether light filtering or blackout, helps to provide the extra layer of protection, helping trap sound from the outside between the glass and the window covering itself. Blackout fabrics will be the best to reduce as much noise as possible. The Ultimate noise reducer. These blinds contain an extra blackout liner (or web) to reduce noise levels. Furthermore, not only does the heaviness of the fabric block the sound from outside the glass, but any extra noise coming through will be trapped within the web design of the honeycomb shade. 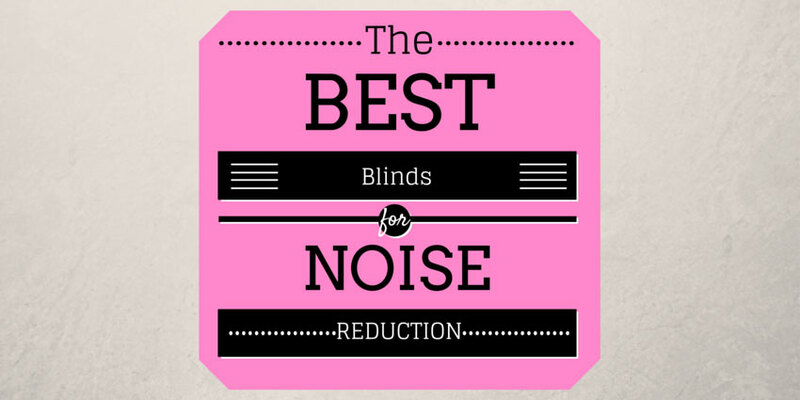 Once again, noise reduction is a secondary benefit of window coverings and may not provide complete silence. So, if you are in a noisy neighborhood and need to do everything possible to reduce the noise levels we recommend doubling up on your window coverings! For example, having a honeycomb shade in the window, covered by some heavy curtains or drapes will provide the extra later required to lower the noise as much as you can. Whether you are blocking the noise from the outside, or sound proofing your room from the inside, window coverings can go a long way to achieving your goal! Contact us today (1.888.870.2130 or help@shadeworks.ca) for further questions and to get you started! Have a great day. Where To Buy Window Coverings: Online Vs. In-store? Often referred to as the “Great Debate” (just kidding), there has always been the ongoing conversation of where and how to buy window coverings. In the past, there were definitely no options, you would go back and forth to and from your local store finalizing all of the details behind your order. However, with the recent advancements in technology, life has become just a little bit easier. With just a couple of clicks, in the comfort of your own home, you are now able to get prices, see fabrics and even order FREE sample swatches. Both methods work, but the real question is what is best for you? 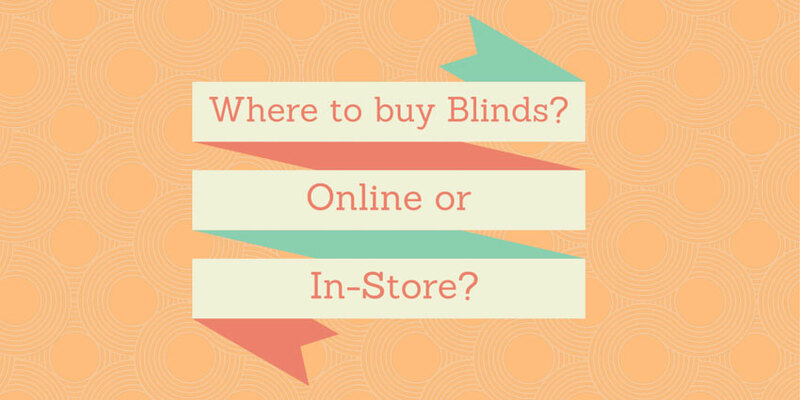 Continue reading Where To Buy Window Coverings: Online Vs. In-store? If you could only choose one room in your home to put all your effort into designing, the LIVING ROOM would definitely top your list. It is the center of your home, and the main “hosting” area for your family and friends. It is the one area that sets the tone for your decorating style throughout your home and it all starts with your windows! Choosing the best window treatments for your living room involves deciding what type of décor style you would like to go with. Keep in mind, that this style will follow you into each and every room in your home. On one hand, you can go with a window covering that is simple, and will blend in with your furniture and paint colour. On the other hand, you can go with a shade that is stylish, something that will dress up your window and stand out a little bit more in your living room. 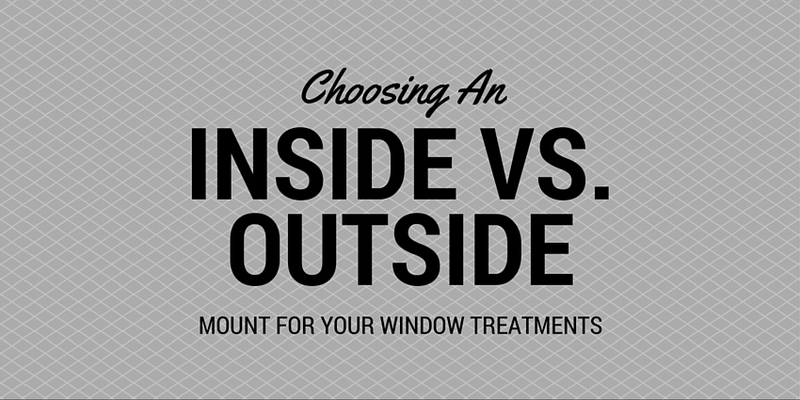 Either way, you want to choose a window covering that will represent YOU and your style in your home. Here are some options that will lead you in the décor direction you wish to follow. 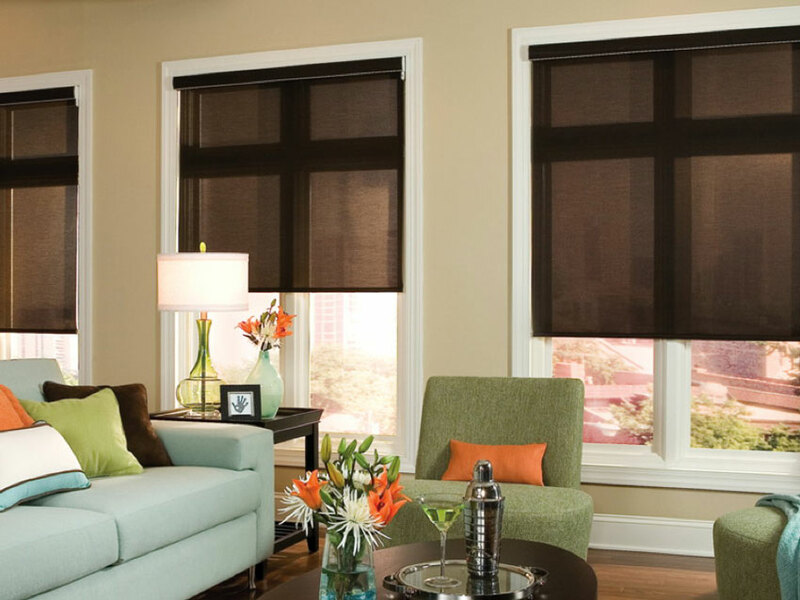 Roller Shades provide a modern, clean design that will give you a streamlined look to any room in your home. With a wide variety of textures and colours, these shades will give you the ability to blend your window treatments in with the other elements of your room. Additionally, the different weaves can also offer you with various levels of light blockage and privacy for the optimal custom experience. One of Shade Works’ top selling products, these shades truly have at all! They provide the ultimate combination of fashion and function. The fabric bands woven within a beautiful piece of sheer material provides an elegant look that dresses up your window. With many fabrics and colours to choose from, these window coverings can be subtle and stylish, or the main focal point of your living room. 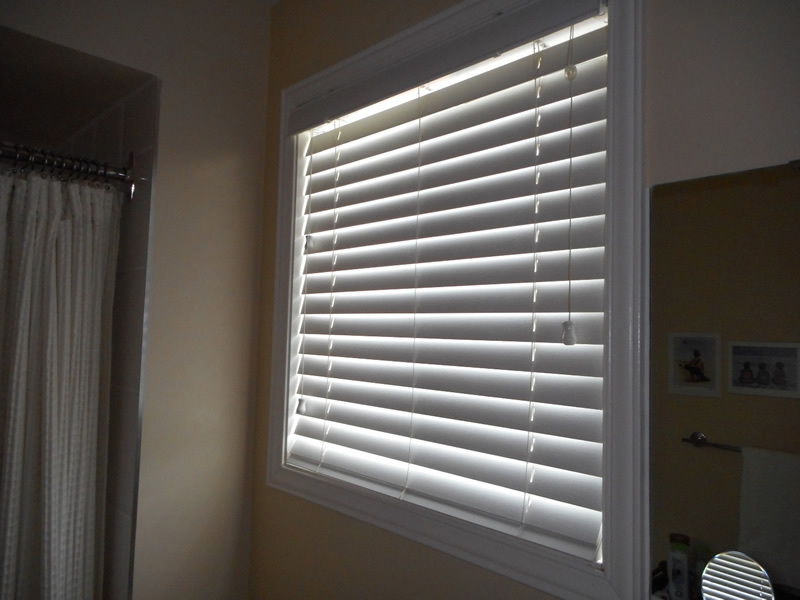 However, with one slight pull of the cord, you can line up the bands to obtain your privacy and light blockage. This window treatment is second to none. 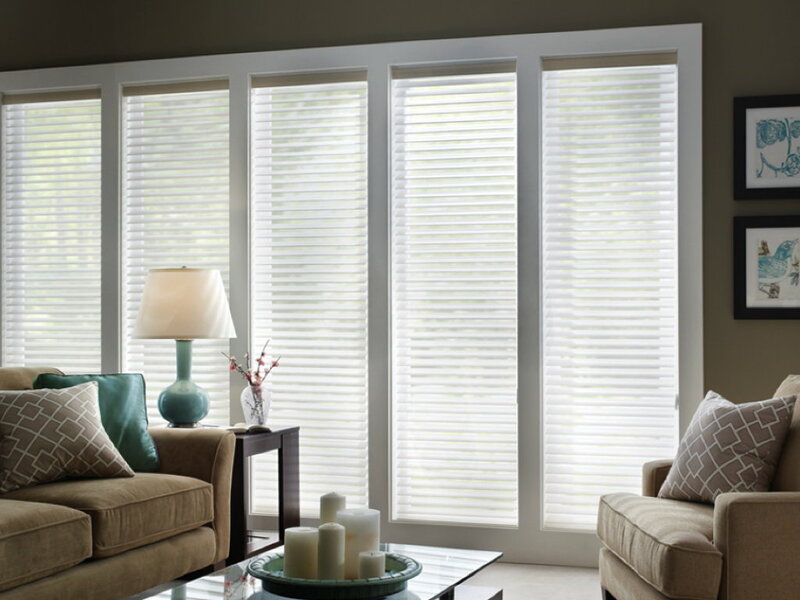 The first word that comes to mind when seeing Sheer Horizontal Shades is ELEGANT. These shades define class, and elevate the look of your living room. They provide a timeless, refined style, with an added sense of function. 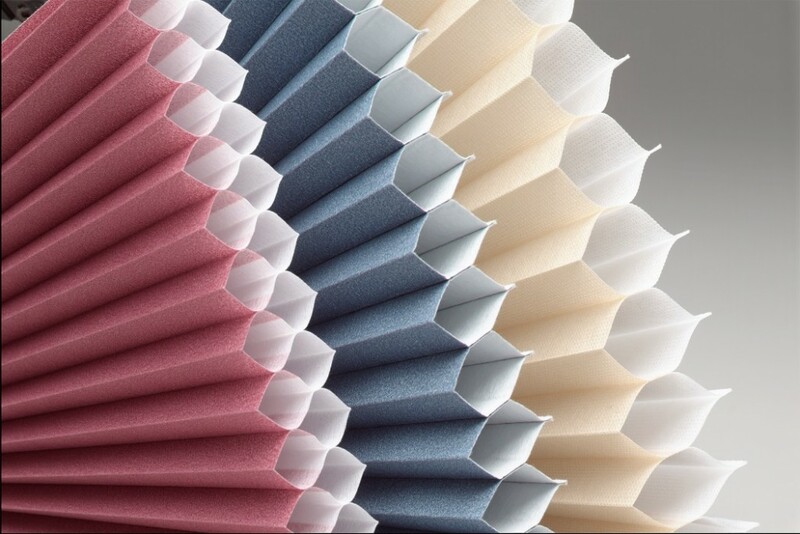 Having fabric vanes allows you to have the best control of natural light entering the room. However, due to the sheer design (two pieces of sheer fabric) of the product, even when the vanes are closed, filtered light will still be able to enter the room. These shades will certainly upgrade your living room. 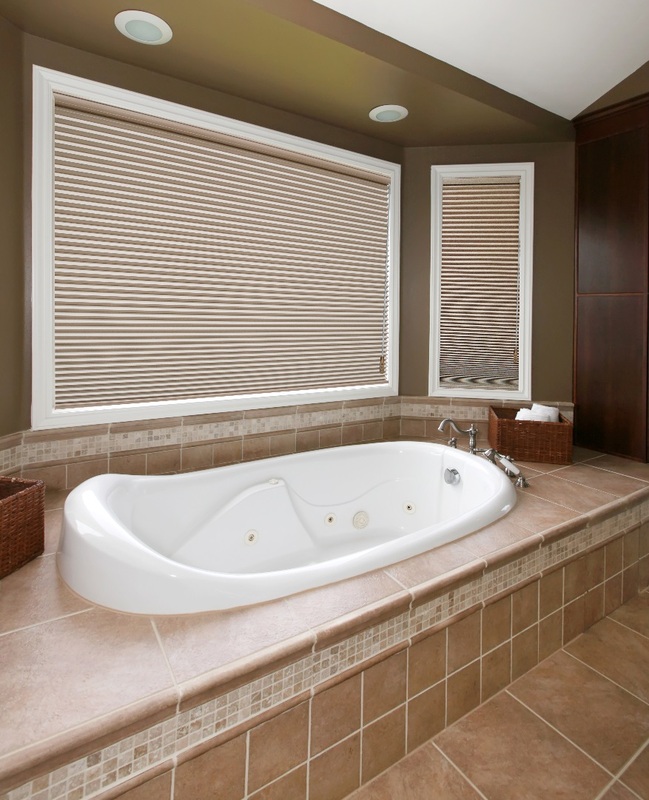 There is never a “right” or “wrong” window covering to use in the bathroom, however, there is always the BEST window treatment to use! Today we are going to focus on the simple, yet complex factors relating to the bathroom in your home. Not the hardest of windows to cover, as there are usually only a couple of windows, but choosing the right window treatment is extremely important. Why you ask? First off, the bathroom is always the smallest room in the home. Next, the temperature range is the most extreme, from cold air conditioning, to steamy hot, during a shower. Finally, brightness and light to elevate the look and style, but privacy needing to be maintained. For these factors and more, the following tips will help you immensely in choosing the perfect window covering for your bathroom. 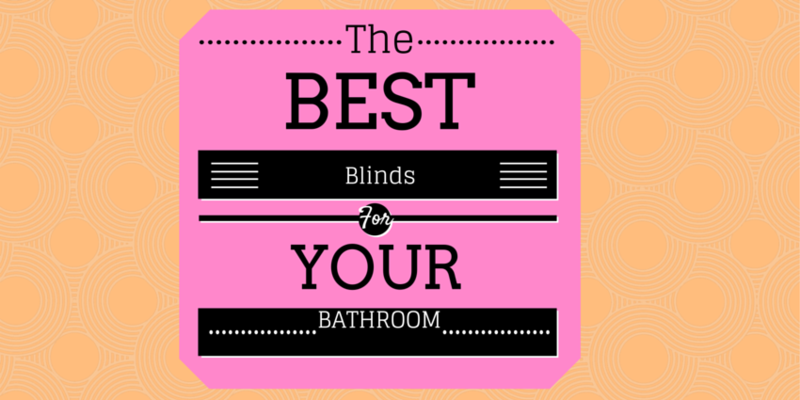 The best blinds for your bathroom will always be the ones that are moisture resistant, while at the same time still maintaining your privacy. It is without a doubt the one room in your home that needs to be the most private. Roller Shades can endure the moist and humid conditions the best. These shades also have the ability to blend in to your décor or stand out as an accent piece in the room. Any light filtering fabric (most popular being a white colour) will brighten up the room and preserve your privacy. Definitely the most popular choice when it comes to covering your windows in style and function in the bathroom! 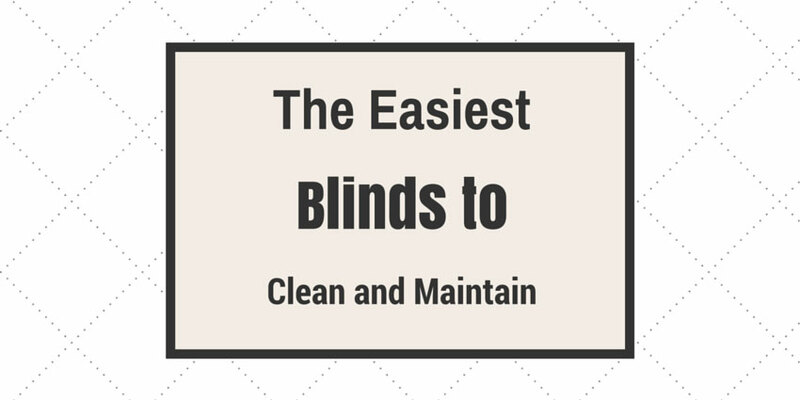 Not only are they budget friendly, but these blinds are easy to upkeep and clean, as well as the most resistant to the conditions found in the typical bathroom. 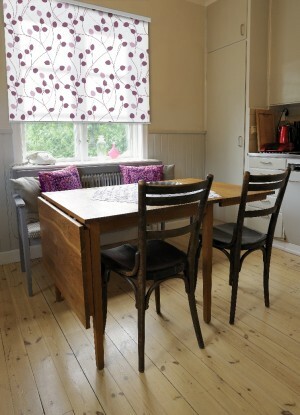 Please NOTE – we are suggesting Fauxwood Blinds – NOT Wood Blinds. 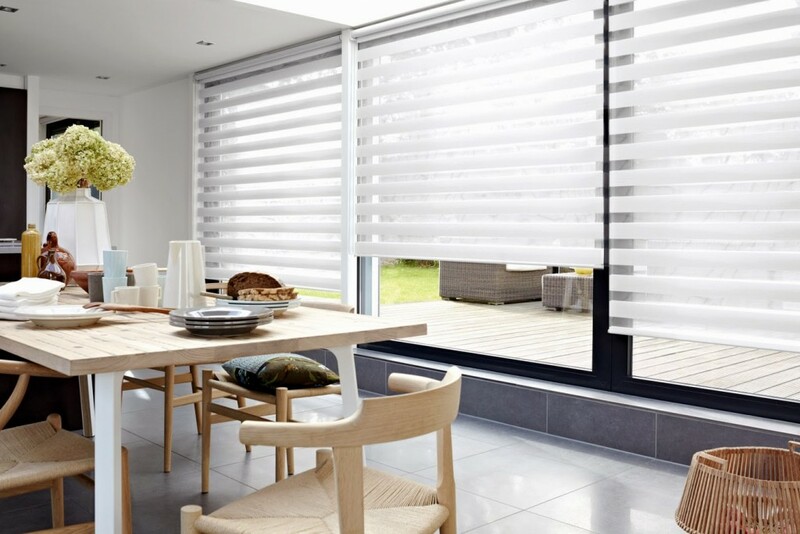 Wood Blinds are not resistant to the heat and sunlight and are more likely to go through colour discolouration, as well as warping of the horizontal slats. Fauxwood Blinds are the most durable blinds out there. 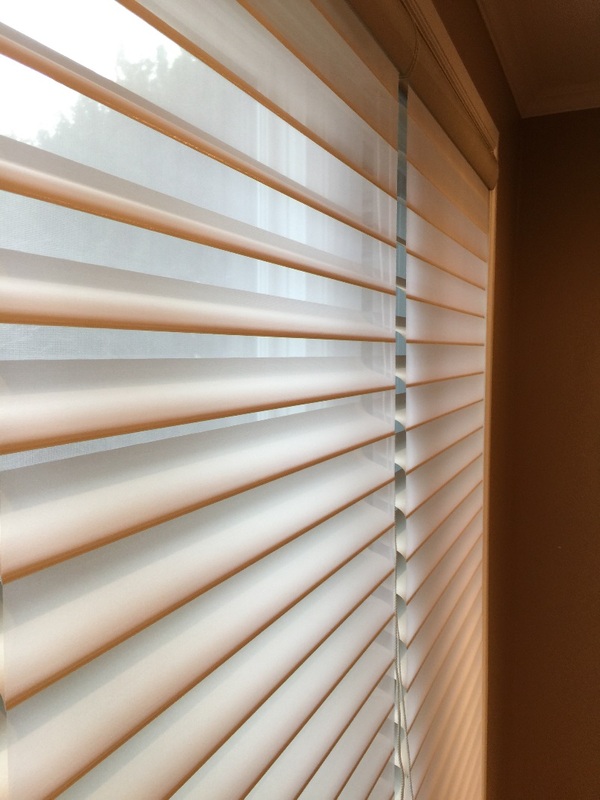 Made not to warp, you also have the ability to tilt the slats up and down to allow light into the room, but conserve your privacy. Our last tip of the day is not what we suggest, but rather what to stay away from. Sometimes it is more helpful to educate consumers on what will not work, rather than what will work! As we mentioned above, you should definitely stay away from real wood products. In addition, we suggest to stay away from heavy Roman Shades. 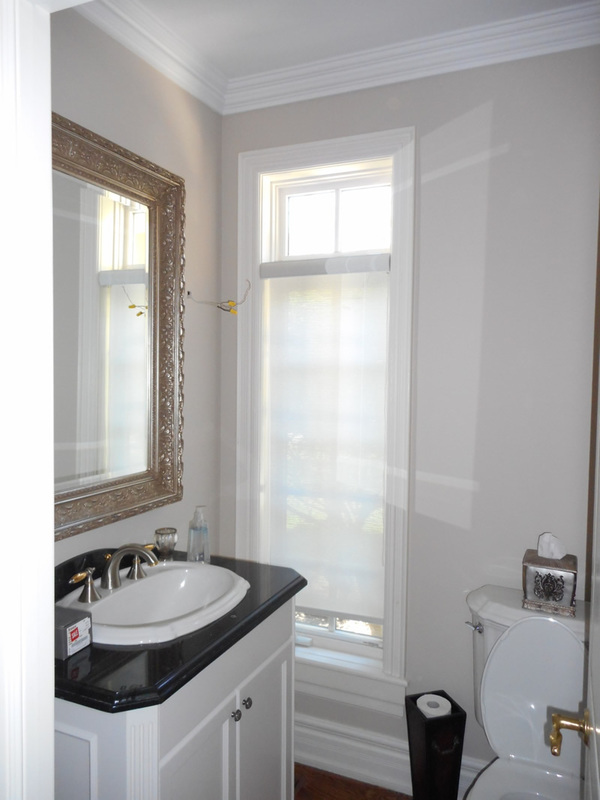 With long, cascading fabric, Roman Shades are simply not suited for the humidity of the bathroom. Renovating a bathroom is one of the more popular DIY projects to date. Please make sure to not forget about the window coverings as they will not only provide the perfect finishing touch to your décor, but will also functionally elevate the room! Feel free to contact us today (1.888.870.2130 or help@shadeworks.ca) with any questions! Have a great day.